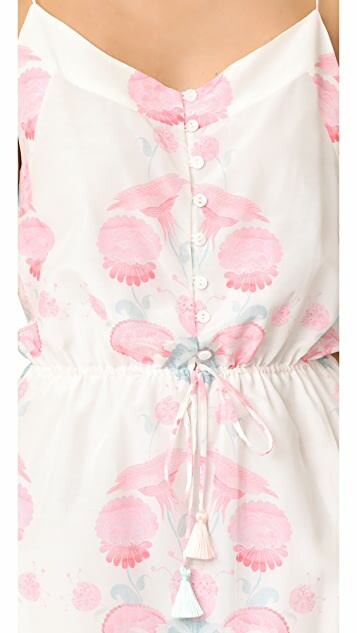 A delicate Athena Procopiou dress with an artistic floral print. Button-down bodice and ruffled hem. A tassel drawstring cinches the hem. Slim shoulder straps. Lined.